January is a wonderful month in the greenhouse. Winter weather is settling in on the landscape but winter blooms abound under the glass. 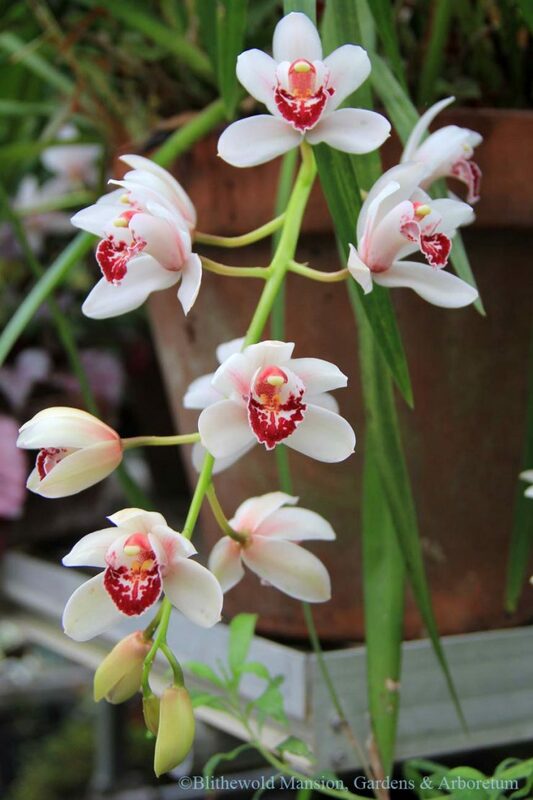 The orchid pictured at the top is a Cymbidium type that goes unnoticed in the containers all year until it blooms in January and February. Recently, when I arrive at work in the morning and we unlock the greenhouse doors, the sweetest fragrance wafts in to the potting shed. The Jasmine vines are blooming. 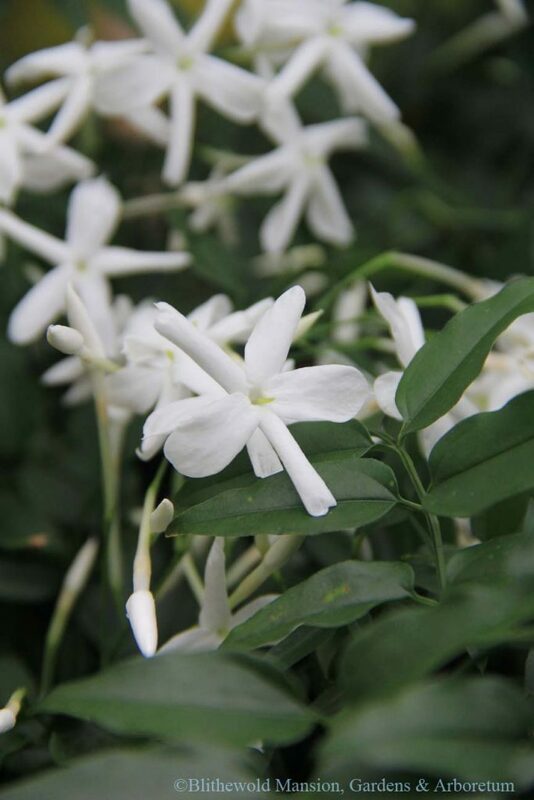 Jasminum officinale flowers have a heady scent that is a welcome contrast to the cold dry air outside. I look forward to these groups of tiny white flowers that consistently return each winter right around my birthday (next week) to grace us with their presence and their fragrance. The other flower I can’t stop putting my nose to is the American wonder lemon (Citrus x limon ‘Ponderosa’). 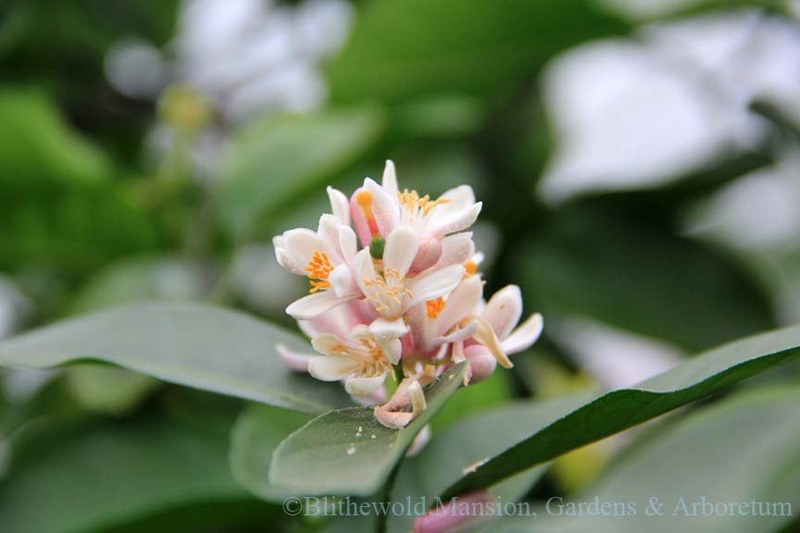 If you have visited our greenhouses, you may recall this plant. 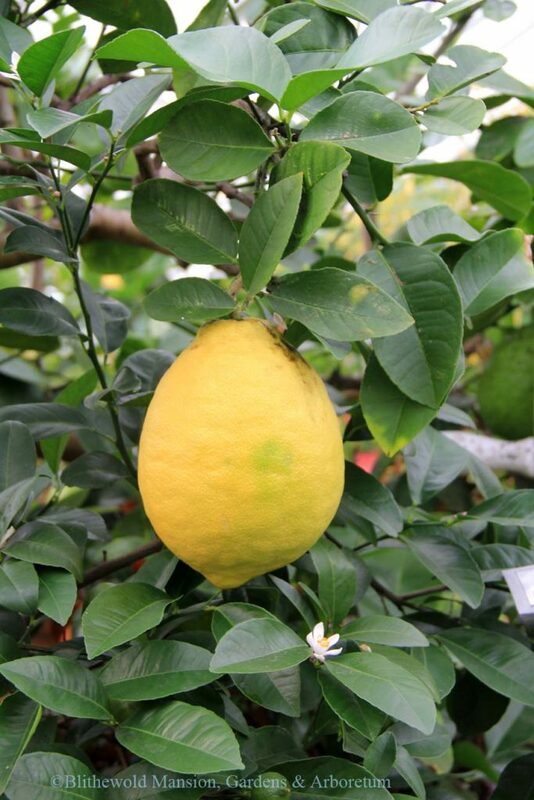 It is recognizable from a distance by its overly large lemons that are often mistaken for grapefruit. The diminutive flower is worth just as much – even more – attention. Lean close to breathe in the sweet, citrusy fragrance. 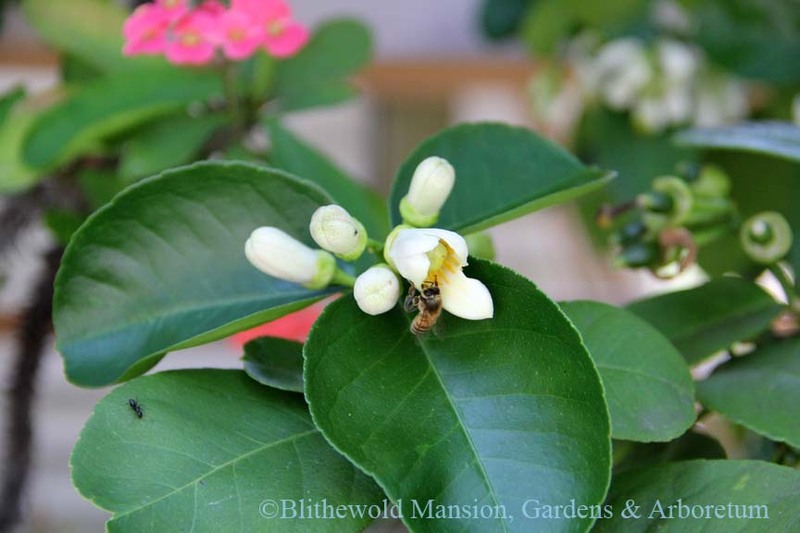 A group of American wonder lemon flowers. When these plants take up residence outdoors for the warmer seasons, they are visited by honeybees and other pollinators. We thank the bees for their work in making the stunning fruits possible. If you’re looking for more than my pictures of flowers to raise your winter spirits this year, I recommend checking out our horticultural classes. The first set starts in February and will be taught by Gail, Joe, and yours truly. This three class series is a beginner friendly foundations in gardening. We will start with the basics, then cover color theory for gardens and finally how to achieve lasting color and interest through all the seasons. Check out the classes here. You’ll also find our other horticultural classes and panel discussion happening in February and March. Hope to see you there!